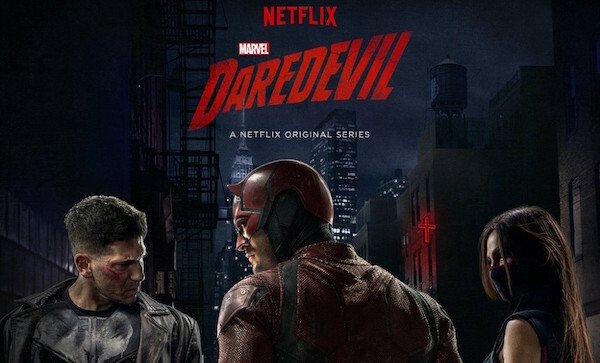 Daredevil was another one of my favorite series out of the Marvel Netflix Shows. There were many more issues with season 2 when compared with season 1, however, I want to start with the pros before the cons. The character of Matt Murdock (as portrayed by Charlie Cox) is brought out to its fullest in this season as we get to learn about his past and they conflict of emotions in his head. He is masterfully portrayed, and I think the writers did an excellent job in this sense. Foggy is still the same ole Foggy, however, he still experiences a lot of character development, though not as much in compared to season 1, this is the same for Karen as in season 1 we got to see her story and in season 2 she feels like one of the elements to move the story along. Stick is another character who was portrayed really well in this season, I was likeable, but hate-able (in a good way) at the same time. The “villains” in season 2 are amazing; The Punisher was obviously introduced to set up his spin-off show, however, he is my favorite “villain” in season 2 because you can relate and compare what he is trying to do to daredevil himself, but his methods are a more permanent solution. I love this dynamic between Daredevil and The Punisher, and how Daredevil created the Punisher and how it was inevitable. Jon Bernthal does an excellent job as The Punisher and he makes a really believable character in season. Elektra is another “villain” in the season, however, I didn’t like her as much in comparison to The Punisher (but that’s just my opinion, I know a lot of people who really enjoyed Elektra). Her character brings out the worst in Murdock, and it’s a really interesting dynamic to see Matt resist against Elektra’s influence. I didn’t like her as much not because she was a bad character, but because I just loved the Punisher. The hand was done quite well, however, they weren’t nearly as interesting as The Punisher or Elektra in my opinion, the felt more like an extension of the Elektra plot than anything else and a method to pull the two characters together and put them on the same side. Now to the cons, which there aren’t too many of, but there is a greater amount that in season 1. The first big issue in my opinion was that the plot felt divided. This was inevitable because of Punisher’s story line vs. Elektra’s story line which the show seemed to switch over to the other every 2 to 3 episodes. This isn’t that obvious when watching the show, but it is quite irritating when reflecting upon the show, because it feels like two different seasons. My second issue is the King-Pin shaped hole in my heart, his character just was so much more impressive in my opinion. King-Pin’s character was an insurmountable force, he commanded respect; in comparison, the villains in season 2 are bigger (talking about the hand) and provide more of a moral issue to Murdock, however, they don’t seem as ever present and powerful as the King-Pin (though they are, it just doesn’t feel like they are). Lastly, The overall plot of season 2 is a lot weaker to season 1 (which may be why the King-Pin seems like a much better character).